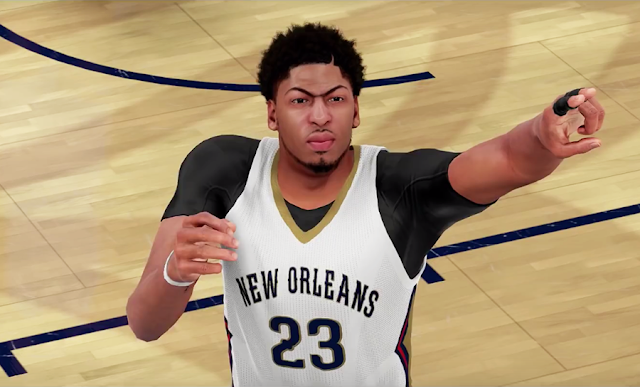 2K Sports has finally released its third NBA 2K16 digital short featuring New Orleans Pelicans' star Anthony Davis. The video highlights Davis’ journey through high school and college before being drafted in the NBA and eventually, becoming an all-star player. It includes old footage of AD playing for Perspectives Charter High School and University of Kentucky, as well as some of the first looks at NBA 2K16 gameplay. This is the final video of a three-part series focusing on the life story of each of the NBA 2K16 cover athletes. It emphasizes the new story for MyCAREER mode produced by filmmaker Spike Lee. NBA 2K16 launches September 29, 2015 for PlayStation 3, PlayStation 4, Windows PC, Xbox 360 and Xbox One.